Hello after many days of no blog posts I am writing now with much to say. The hair is definitely growing. Now, at about 4 /12 months I am really noticing growth. 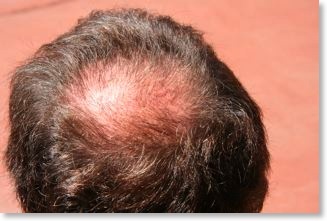 When I put my hand on my bald spot, I don’t feel skin any more but thin hair. 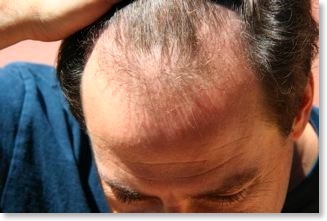 In the front receding hairline it is very noticeable if you are watching it everyday like me. To my friends and family, they don’t really notice as much as the change is so gradual. What I see are a lot of half inch long hairs coming in within the shape of the new hairline. It is very noticeable after the shower as the old hairline is very noticeable at a about 1/2 inch in from the new hairs coming in. I’m attaching some pictures below but keep in mind that it’s hard to see the new hair. It’s mostly noticeable in the shrinking baldspot.